Justin Robertson is one of the most recognised names in dance music, with a career spanning nearly thirty years. Starting out as a fresh faced dj and producer in late 1980s during the heady days of Madchester, Justin went on to hold residencies at some of the most celebrated clubs in the world, including Manchester’s legendary Hacienda, Cream in Liverpool, Bugged Out, and Turnmills in London. 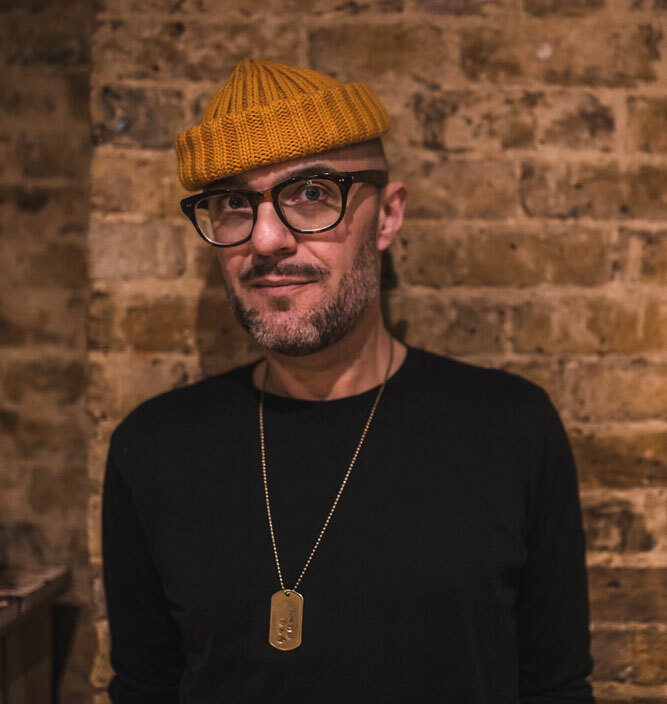 Justin’s career has been rich and varied, alongside an impressive Dj cv, he has enjoyed a successful studio career, having reworked and produced music for the likes of Bjork, Paul Weller, Erasure and Justice. Justin has also enjoyed success as an artist in his own right, even appearing on Top of the Pops with his band Lionrock with their hit ‘Rudeboy Rock’. You are just as likely to find Justin Robertson in the pages of a fashion magazine as behind the decks, this stylish Dj has provided the soundtrack for many seminal nights, whether it be Primal Scream’s exclusive after party at Pikes in Ibiza, or rocking a crowd of thousands at a Croatian Summer Festival, Justin has the perfect musical pallet for the job. Justin continues to be tirelessly prolific, his current project the Deadstock 33s, signed to BMG records, has pricked up the ears of underground luminaries such as Andrew Weatherall and Daniel Avery, as well as crossing over to Radio, with support from Lauren Laverne and Nemone among others, ensuring his continued relevance at the cutting edge of electronic music. Justin has also become something of a celebrated artist with exhibitions from London to Stockholm receiving warm praise. 2016’s ‘Explorer’s Chronicle’ was a three-day festival of Philosophy, Art, Film, and Music, curated by Justin, which featured his art along with the contributions of some of the UK’s most interesting thinkers and musicians. The show has subsequently toured the country. 2018 will see a major new show of Justin’s art, as well as several new musical works, including a Vampire film soundtrack, and some fascinating dance floor material. Justin’s approach to Djing displays a healthy, focussed eclecticism. He is renowned for his versatility and adaptability to whatever is required during his sets, as evidenced by the wide range of gigs he has played and continues to be booked for in what has been a highly successful 30 year DJ career. Justin’s ‘Temple of Wonders’ radio show on Soho Radio, covers the world of sounds from psychedelia through Afro beat to reggae, and is one of the stations most popular shows. Justin can conjure up bespoke cerebral soundtracks for art happenings or cause dancefloor mayhem, all with a high quality guaranteed. Justin can be found generating intense underground dance sets at venues such as the Warehouse Project in Manchester or Festival Number 6, provide a sophisticated, chilled selection for events like Babington House’s Post Glastonbury recovery, or a bespoke and accessibly cool selection for ‘The Return of the Rudeboy’ launch, Handmade Films or the European Design Festival in Milan. Justin can create dancefloor mayhem with good time disco at Soho House’s Summer Festival or arms in the air euphoria at after shows and gigs for the likes of the Chemical Brothers, Beastie Boys, Kasabian, or Orbital. Justin has the ability to deliver the required sounds with skill, panache and a stylish hat.